When you encounter a rat there is always an air of disgust and fright. The very thought of the horrible diseases these small animals carry is enough to scare you and give you a feeling of unease. If you talk to people who have found rats in their homes, they will tell you that it is not something that gives a great experience. Other people will tell you that they have the real fear of health problems hanging around when rats are present. It is very important for you to look at of getting rid of rats fast when they show up. Some of the things that you’ll try yourself before choosing a pest control Sydney exterminator are setting up traps and using the old school way of chasing the rat around with a broom. If you are facing a massive colony, you will have small changes to get rid of the rats that infested your home, business or store. An exterminator has a great changes of getting rid of them in a timely and proper manner. A good exterminator will have all your pest control needs. If you own your own property or rent one, everyone around has a role in rat prevention. It is important to know that you can keep your neighbourhood rat free when you place all the trash in tightly sealed bins that are rat-resistant. You can also take other actions to reduce the possibility for rats to survive on your property. Such other important steps in controlling rats infestation are cleaning up the rooms in your property, maintaining the buildings, installing yards and using sealed trash cans. It is also common sense for property owners to be responsible for maintaining on a weekly basis a rat-free environment. The female rat becomes sexual mature in just 35 days and will average eight litters per year. Each of these litters will average five young rats. With that number of baby rats delivered per year by a single female adult rat the population of them builds up rapidly. Rats typically produce their largest litters in spring. It does however depend on food and climatic conditions. Rats begin to breed at five to six weeks of age and have a life span of about one year. They are very hardy animals and are best reduced in numbers by poison bait traps strategically placed where they would move from location to location. These bait traps need to be designed to ensure they do not kill off pet cats and dogs in Sydney that may stumble on them. The mouse that lives in houses is the most common species in the rodent family. They live in close association with humans, has a grey color and its weight is approximately half to one ounce. The common rat’s body is maximum four inches long and the tail gets to almost four inches long. Its muzzle is pointed, and the rat has large ears, while the eyes and body are quite small. Compared to other species in the same family, the house rat is slightly smaller than the deer mouse. It’s important to know that adult droppings are 1/8 – to ¼ inch long. They also are rod-shaped with pointed ends as a distinct element. They are easily eradicated with poison baits that they eat. House mice are found throughout most countries. They are good climbers and can jump 12 inches high, and can jump down from heights of up to eight feet. It is amazing to see how house mice can easily squeeze through small holes and gaps wider than ¼-inch. They are social in behavior and very inquisitive. They climb all over things in their environment and have no fear to explore anything new.House mice prefer to nest in dark quiet places where there is a low chance of disturbance. Their nesting materials range form such things as paper, cardboard, attic insulation, cotton, and anything else that is light, soft and readily available. Mice have a foraging territory that is small and usually no more than 20 feet. If abundant food is nearby mice will nest within four to five feet of it. Mice nibble on food and prefer items such as seeds nuts and cereals. They eat at dusk and just before dawn out of view of humans and predators. There are major health risks associated with house mice that include salmonella contamination and leptospirosis. The rapid rise in mice population in a Sydney area where food is available can lead to major infestations. It is important to reduce numbers by introducing cats to control them or laying poison baits. Pest eradication companies try to make sure that you never have to encounter rats and mice again. 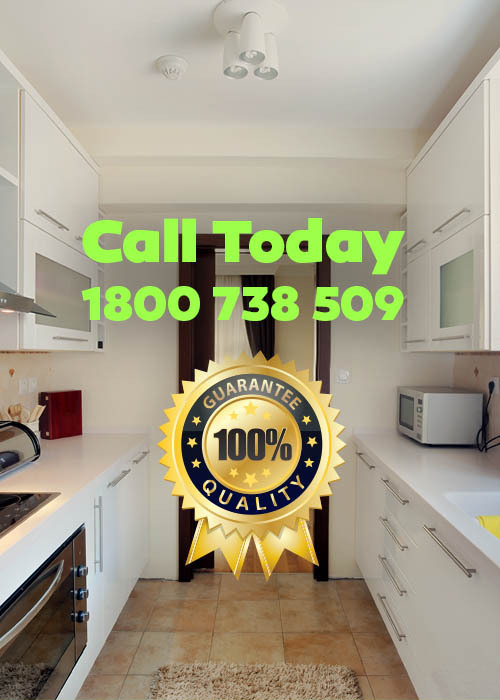 Quality pest control professionals generally set a very high standard to ensure the mice and rats are controlled, exterminated and conditions encouraging them are removed. One method of rodent removal is to smoke them out. Once this is done the entrance and exit points are blocked so that those rodents will never return. It is important that when it comes to rodent control, the pest exterminator company ensures you are satisfied with their work and you get your money’s worth. All the infected items should be taken away from the dressers and closets in bedrooms where bedbugs have been found. It is important to vacuum items that are not machine washable. Place all infected items in a sealed container or bin to prevent the bedbugs from gaining access to unaffected areas. You need to wipe down all infected areas with isopropyl rubbing alcohol to insure that all eggs and bedbugs are killed. All infected items that are machine washable like pillows, curtains and other bedroom items, should be washed using hot water and after that should be dried using the hottest setting possible on the drying machine. All treated items need to be kept in new clean bags until after the second treatment which is almost 14 days later. It’s necessary to get prepared for the follow up treatment, so be sure to keep at your disposal items that you may need. Many upholstered items, including couches and chairs will need to be taken away and disposed off. 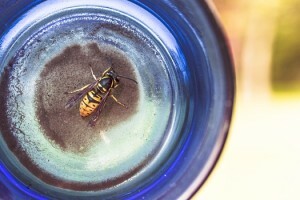 The professional exterminator will determine what can be saved or not. When discarding furniture, it’s a good idea to spray paint it to discourage someone else from taking if from the kerb side into their own building or back into your building. That way you will be able to avoid spreading the bedbugs’ infestation and re-contamination with these insects. Bed bugs are nocturnal insects with six legs that feed only on blood of humans or warm-blooded animals. There is one common bed bug, called Cimex lectularius and is found in Sydney. This bedbug is known to be the species most adapted to living with humans, in their houses and bedrooms. You can distinguish visually the adult bed bugs by colour, as they appear mahogany to red in shade. Another visual sign is that they are flat and oval-shaped. In regards to their size, bedbugs can grow to maximum ¼ inch. The immature bed bugs, also called nymphs, look like adults. But the immature ones are smaller in size and somewhat lighter in colour. They can also appear translucent so it’s hard to spot them. Due to their morphology, bed bugs can live inside bed mattresses, headboards, or other cracks and crevices of a regular household or brick-and-mortar store. During a normal lifetime, bed bugs can lay between 200 to 500 eggs. Their lifecycle can be up to 316 days in a normal room temperature, and also with enough food supply. They don’t have wings and are visually rust-colored insects. The bed bug size is about that of a small apple seed. It is known that bedbugs are nocturnal parasites. These insects rest during the daylight and come out to dine on the blood of humans or animals at night. It is important to know that bedbugs are attracted by human body heat. The parts of the body that they usually favour feasting are the shoulders and arms. As they start feeding, the bedbug’s proboscis will pierce the skin of the victim, and will inject bedbug saliva. It takes about five to ten minutes at a time for bedbugs to feed with human or animal blood. It is done when the victim is sleeping and unaware they are being bitten. Bedbugs love to live in bedding and on bedroom mattresses, where they have easy access to people while asleep. There are other living areas which bedbugs favour like spaces between wooden floorboards, inside wall cracks or crevices. These insects live also in the furniture’s seams and cracks, especially inside bed frames. There are cases when bedbugs can be found behind peeling paint on the walls. Humans rarely notice the Bedbugs in action. You can spot the first sign of a bedbug infestation as bites on your skin. The bites are painless usually, but they become itchy and annoying. In the beginning, bedbugs’ bites tend to start as swollen but in a few days, they fade to red marks and after that disappear, leaving small marks on the skin. It is important to know that experts suggest washing the skin bites with antiseptic soap so you can avoid infection. The itching can be treated with calamine lotion or anaesthetic creams. These are just nasty and annoying bites. You can determine if you have bedbugs when you see tiny bloodstains from crushed bugs found on sheets or mattresses. You can also check for dark spots that are usually bugs’ excrements on the walls or bedroom furniture. In many cases, bedbugs spread through hitching rides on people’s clothes. These insects jump from host to host when people touch each other in public. Bedbugs spread also through reconditioned mattresses, which are old mattresses that have been refurbished. In such a case, the bedbugs will spread from stores or households. The spread can also appear when an old mattress infested with bedbugs is transported with a new one in the same truck. Experts in the field presume that bedbugs have all been in a latent state at some time. It can be really difficult to get rid of bedbugs. It’s interesting to see that in proper conditions, adult bedbugs will live without a meal for a year or even longer. In the same time, these insects can be eliminated with the help of a professional pest control exterminator. Before calling in an exterminator, you can try some do-it-yourself methods like cleaning all surfaces, vacuuming and washing them with power. Another DIY method is to wash or dry-clean the infected clothing. You should always use hot water and also a dryer, and setup the hottest setting for the machine. First you have to vacuum mattresses, then seal them in plastic bags or bins and leave them outside the house in the hot sun as longer as possible. The other step that you should do is to steam clean carpets, and spray the cracks and crevices with an insecticide so you can control bedbugs. If after you tried these methods it didn’t work, you should search and hire a pest control Sydney professional. It’s important to know that a very qualified exterminator can use stronger insecticides to exterminate the bedbugs in the housing or store. In addition to that, if you schedule repeat visits then these will ensure that all bedbugs are exterminated from the infested areas.The bedbug treatment protocols are designed to be used in households that have children and pets. Biological pest control is the control of pests through the use of natural predators and parasites. An example is where mosquitoes are often controlled by putting Bacillus thuringiensis also known as Bt and is a bacterium that infects and kills mosquito larvae in local water sources. This treatment has no known negative impacts on the remaining ecology and is safe for humans to drink the water after its use in this manner. Biological pest control, or any natural pest control, is to eliminate a pest with minimal or no harm to the ecological balance of the environment. Mechanical pest control is the use of hands-on techniques including the use of simple equipment, devices, and natural ingredients that provide a protective barrier between plants and insects. For example, weeds can be controlled by being physically removed from the ground by hand pulling or use of a grubber. This is referred to as tillage and is one of the oldest methods of plant pest control. Physical pest control is a method of getting rid of insects and small rodents by removing, physically attacking and setting up barriers that will prevent further destruction of one’s plants and property or forcing insect infestations to become visual. Proper and managed drainage of still and waste water, eliminates the breeding ground of many pests. Garbage provides food and shelter for many unwanted organisms, as well as an area where still water might collect. These water collection ponds become used as a breeding ground by mosquitoes. Large bluing estates and communities that have proper garbage collection and disposal, have far less a problem with rats, cockroaches, mosquitoes, flies and other pests than those that don’t. Open air sewers are breeding grounds for various pests also. By building and regularly maintaining a proper sewer system, this problem generally is eliminated. Certain spectrums of LED light can “disrupt insects’ breeding when placed in potential breeding ground locations. Poisoned bait is a common method for controlling rat populations. However, it is not as effective when there are other food sources around, such as garbage or food shop scraps. Poisoned meats have been used for centuries for killing off wolves, birds that were seen to threaten crops etc. This can be a problem, since a carcass which has been poisoned will kill not only the targeted animal, but also every other animal which feeds on the carcass. Humans have also been killed by coming in contact with poisoned meat, or by eating an animal which had fed on a poisoned carcass. Traditionally, after a sugar cane harvest, the fields are all burned, to kill off any insects or eggs that might be in the fields. Examples of these pests are Rodents. With the many traps available on the market today you can easily remove mice and rats from homes. You must first know what rodent needs to be removed, you can then decide what type of trap is the best suited to your needs. The snap trap is the most widely used, it utilizes a trigger (sometimes shaped like cheese) to hold bait, and kills the rodent by striking it behind the head with a wire rod or jaw. In some instances you may wish to use glue traps also called glue boards. This type of trap requires the mouse or rat to attempt to cross the trap so the glue can hold the rodent. After a catch is made you can euthanize the rodent and dispose of it trap and all, or some glue boards will release the catch when you pour vegetable oil on them, as the oil reacts with the glue to lose its grip. The last type of trap are live catch traps, this type of trap is typically a repeating style so more than one animal can be caught at a time, they can also be released from this trap in a new location if desired. A long term project involving fogging or misting type applicators. Liquid insecticide is dispersed in the atmosphere within a structure. Treatments do not require the evacuation or airtight sealing of a building, allowing most work within the building to continue but at the cost of the penetrating effects. Contact insecticides are generally used, minimizing the long lasting residual effects. Another effective method of soil sterilization is soil steaming. The pest is killed by super-heated steam that is injected into the soil, or the soil is fed through. There are several naturally occurring plants that have material extracted to form a repellentelant against a wide array of rodent pests, crocodiles and even wild dogs etc.